I was pretty sure I was only going to foil in light winds (when I started to learn) and then jump back onto the surfboard when the wind kicked in - but foiling has me hooked ! In 8 to 10 knots I can have fun with my Zeeko Bullet and my 11m Bandit - but this arvo it was closer to 15 knots and I had the kite fully depowered - my 9m or 8m would have been better ? Im still amazed how small a kite I can use with the foil - its simply crazy!! My smallest kite is a 7m (bandit 7) - and Im wondering what my be the sensible top end for that kite when foiling on the zeeko bullet ? 25 knots? And Im wondering if I should be looking for a 6 or 5m kite - what wind speed would a 5m be comfortable in with my foil? (im 85 kg's) . Lots of guys will be having fun foiling in above 22 knots or so but for me the fun factor tapers of rapidly above that mark. I will just do a tt,boosting, or wave session in that circumstance. I have had no issue in 25/30 knots on a 4.8m (and probably could have gone smaller). I am running on the XL Surf Thrust, so even in 30 knots, I barely get above 15 knots forward speed. In the bigger wind conditions, the foil just hooks in like I am cruising around on flat water. My 9 year old 6m Slingshot RPM has had a lot of use since I started foiling. I can ride in 30 knots fully depowered. By then the chop swell size is higher than the 70cm mast so things are getting tricky anyway. Over 30 knots and I will switch to the twin-tip. At 15 to 18 knots I use my 6m Reo, and if I am out in 20 plus and still want to ride my foil and the chop isn't too crazy, than I will use the 4 Uno. The tiny kites are so much fun to fly around. Lambie try using your 8m more and with say 28m lines. pretty soon the 11m will be unused. remember the other day at pt Welshpool you were still cruising on the 8 and the wind had nearly dropped out. my 8 takes me into the low 20's easily and in fact crosses well over into going from foil to TT. your 7 is worth more exploring before looking for another kite. It is a bit pointless in using small inflatable kites to kitefoil in less than 10 knots. I would suggest looking at a ram air kite for your light wind foiling and that way you can take it to the next level. It's possible to foil in as little as 4-5 knots with a ram air kite. An inflatable wont even fly in this little wind. The problem with inflatable kites in the 8 knots and below range, is they are unlikely to relaunch if they go in the water. They also don't like to go downwind and will stall and fall in the water. I love the 6-10 knot wind range. Smooth water, no one else out. Quiet and still very powered. 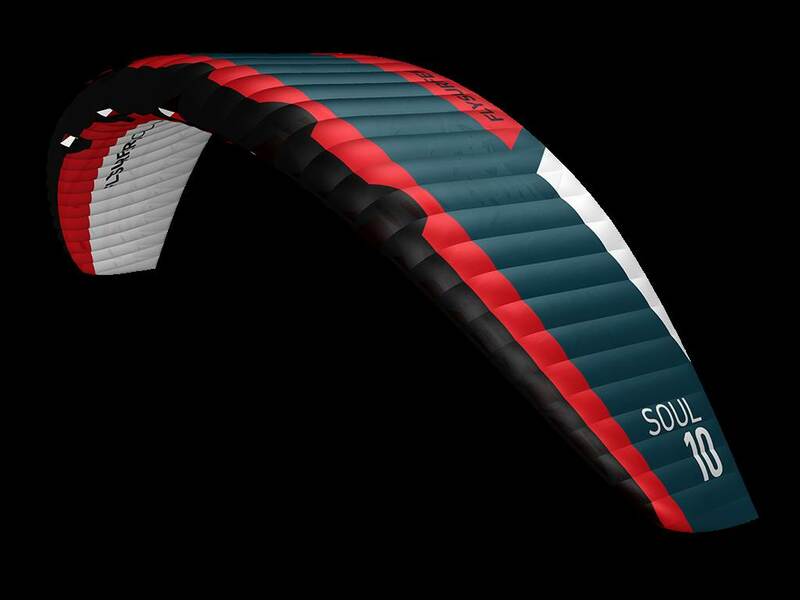 Have a look at the Flysurfer Soul 15m or the Ozone Hyperlink 12m and definitely go with the ultralight construction. They will happily fly on the beach in 4-5 knots and will drag your ar$e upwind and downwind with power to burn in 8 knots. 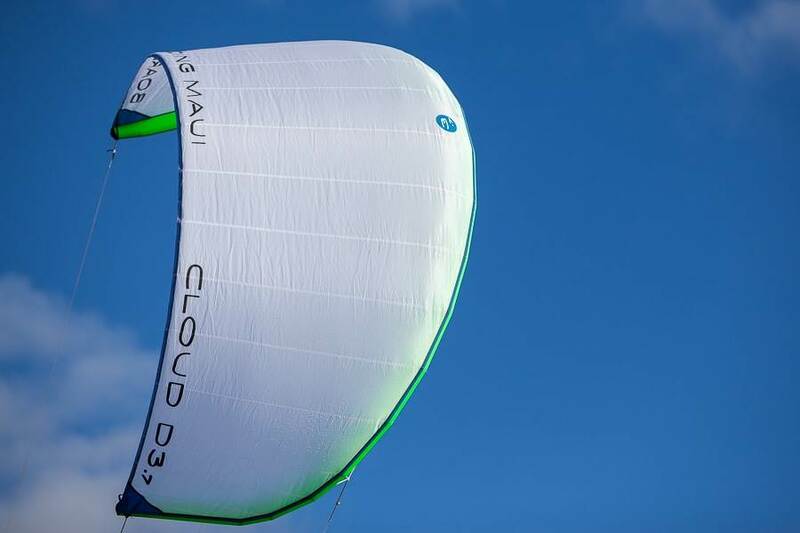 We have two blogs on light wind kiting and also ultra light wind foiling. I hope this helps. Feel free to ask any questions. I have recently added a 4m single strut for use in winds up to 40 knots. It's usable down to 20knots and I could probably get going even lower. It takes a while to build confidence in your ability to get going and ride with a tiny kite. I strongly disagree with the no fun in strong winds comments. I find 30 knots to be pure joy on a small surf foil and a tiny kite. It's easy to blast downwind at speed. It's easy to blast upwind. It's very easy to carve turn after turn after turn. Possibly the nicest thing when it is nuking is to ride as slowly as possible, carving super tight little turns. Link of up several turns then carve hard upwind and repeat. You can spend 10-15 minute in the same piece of water just playing with the waves. When you tire of that then pick a few waves faces and run along as far as you can. Link some more turns, then swing back upwind and repeat. In general terms, if you're feeling overpowered with a kite then you probably need more experience. Foils vastly increase the wind range downwards, and to an extent upwards. Once you've got the experience you can ride a foil with the same upper wind limit as a TT. It's more fun with a smaller kite, but it's very doable with a big one. All the skills and techniques of TT and directionals apply to foils. It just takes a while to develop the feel and the confidence to be able to do it. Bit of a thread hijack but I have been Thinking a bigger slower wing could be better in choppy conditions. I want to get into more open ocean chop and wind swell foiling, I have noticed that when it is choppy i need to ride a lot slower l am thinking for the 20-25knot super choppy wind swell conditions that are pretty much standard for the Perth summer I will want a surf/sup wing and a tiny kite. My friend has been using a similar setup and having a lot of fun with it. It's interesting what you say bigtone about the big naish wing just hooking in there nicely in stronger winds. I imagine if you can keep board speed down it will be easier to maintain control and just plow through choppy conditions. Thanks guys for the range of answers !! I guess I just need to feel comfortable with the conditions I'm riding in and as RAL INN and other say - typically above 20 knots it could be better to jump back onto a board. I think I'll explore the boundaries with my 7m Bandit which has pretty good depower and when it gets too much ill go back to the board. I had 6m kite for a couple of years but hardly used it (surfboard) - I'll park the idea of buying a smaller kite for the time being !! Here's my wind ranges on on the foil. For everything I lost in forward speed going to a bigger wing, I gained in my ability to really carve like I am on big fish surfboard. I use the 70cm mast and have no issues unloading the wing to pop up wind swell or white wash, and then I push the board down again so I do not exit the back of the wave. Certainly gives my sore knees a workout. I slowed down on the wave as well and stopped out running the swell. (Had that issue on the original spitfire and zeeko carver). Most of the time I simply pull onto the wave and completely de-power the kite and ride wave using the foil. I am currently riding ~1500cm2, but I would like to have a swing on the ~2000cm2 Axis Wing. The smaller faster wings are still fun, but for me, the bigger wings in the surf are just awesome, especially if you can go to a teeny tiny kite. Please buy yourself a 13.4m Cloud D with 32m lines and try it. You can even use it on your surf foil in the surf in 8 to 10 knots and it will drift. My Cloud will still re-launch in 6 knots from the water even after sitting on the water for an hour. And it doesn't take me long to remove weed or untangle bridles after a swim in. FYI....I own three foil kites and for the most part, they are not worth the drama. Sorry, got the calculations wrong, forgot to add 10% gst, AUD$2400. Could be the most expensive LEI available, we'll not really available here. I would love to try a Cloud but it is just too hard to get and expensive. Your math is still a bit off. $1,540 USD for a 13.4D Cloud exchanges to $2,164 AUD. If BRM did actually sell to Australia, then you can add $100 for airfreight, $50 for customs clearing fees and then GST $231 to make a landed cost of $2,545 AUD kite only. Comparing that to a Flysurfer Soul 12m @ $2,498 AUD makes you wonder why they are so expensive. The Soul is a performance freeride ram air kite for fast foiling but not racing, it can be flown with a twin tip in 25 knots for boosting madness, looping madness or in light to moderate winds for foiling fun. It isn't great in the waves, but that's about it's only shortfall. I think they are a worthy option for anyone foiling or twin tipping unless you only do waves. At Bigtone, forgive my "excitement" with ram air kites, but I think they are a lot more versatile, better value for money and stand alone in terms of aerodynamic performance. When you consider my riding style (racing and fast foiling), I'm sure you can understand my bias and enthusiasm for ram airs. The Clouds are a great kite, but as Airsail has pointed out, they are very expensive, hard to get, and are as one dimensional as my race kites. Horses for courses. Carry on! ...oh, and the Souls are a far prettier looking wing as well. I had a bad session on my 10.4 D Cloud yesterday afternoon. The breeze was mostly 7kn but did gust to 8kn and at times maybe 2 to 3kn (but could not foil in 2 to 3 but kite flew with no issues on 32m race lines). In the end wind dropped and stayed at 2 to 3kn however I was close to shore so could walk in down wind with kite staying in the sky. So not good - should I get a Soul for these conditions to foil for longer. I guess BRM is the small batch artisan producer in the kite world. Also the owner is clearly not driven by profit and is actively avoiding engaging the international market. These are probably the deciding factors in why the kite is so expensive. When you look at them up close they are very minimalist and there would be no where near as much work going into making them as there would be with a foil kite or even a lot of other LEI on the market. I have a friend who is on clouds 100% and loves them. It seems like everyone who does some time on them really loves them. Ive flown foil kites - amazing power house and a beast of a kite and not good in the surf. Great for what they are designed to do but I still want a quiver of kites I can surf with a surfboard but also use with the foil - my bandits seem to be pretty good at both - at least at my stage of my foiling career LOL. My original question I think has been answered - at some point the water state becomes so choppy and confused the foil for most riders just isnt fun anymore - in which case a super small kite just isnt needed - yes there are the exceptions as mentioned above !! Thanks for the reply bigtone, I am definitely leaning towards this direction. I am currently on the spitfire xlw and feel like I could do with a bit more lift. I am 100kg and 6'4" and whilst the spitfire xlw is awesome and would be a good slower wing for your average sized rider I just don't think they are thinking of guys like us when they design these things. When I was comfy on the foil and could foiling gybe (sans feet-change) I would ride the Speed3 21m for light wind then go straight to the 10m Crossbow when I was overpowered, probably 12 knots. The issue became I could ride powered-up on the 21 but only in straight lines. Foil kites were more inclined to end up stalled and in the drink when I mistimed transitions. The same thing happened with "smaller" foil kites (12m) even though there was more wind. Carving around on the foil meant riding at off the wind or at the kite (on shore wind only here) and caused the kite to fall out of the sky in a heap, I stopped using foil kites and started using smaller faster inflatables, and the more I used the smaller faster LEI kites, the more I liked them for my foiling. I'm interested in riding the foil more than I am being pulled by a kite. Foil kites are simply too big, too slow, too powerful and too poor at keeping their shape when the lines slacked. If I wanted to blast around in a straight line as fast as possible going upwind as hard as possible, I'd have kept them. But I aren't, so I sold all my foil kites and now have just 12, 10 and 8 tube kites. I remember 2 swim-ins with the 21, one time I had to completely ditch it when the wind shifted off-shore, and perhaps a half dozen float-ins with the 12m kite. Compare that with a single occasions where I've had to float around for a while, working hard to relaunch the 10m ... but no swim/floats back to shore. I slack the lines a lot in light wind now, to the point the kite just falls out of the sky, only to be caught when I get tension on the lines as I'm riding away from it. Because the tubes keep their shape when they're stalling, it's yet to result in even a wet kite. Bigger is better -- I'm on a 820mm wide/1500cm2 area SUP wing too. As BT said, I might have lost absolute top end, but it isn't exactly slow and it glides forever, and you can ride it very slowly indeed. What you expected us to stay on topic??!! I am with you on needing kites that work for foiling and surf boards. I reckon 3 struts in the smaller sizes and 1 or no strut in the bigger sizes. It may, or may not be of interest, but Pansh may offer its Genesis closed cell depower kite range in sizes from 3 mtr and up. Currently a 6 mtr is the smallest and I don't know of another foil manufacturer making really small depower foils other than the French brand Concept Air. Fast moving small kites on large foil wings is a new direction. Wind chop really picks up in wind over 20 knots and the big wing really allow you to keep the foil under control and play in the rolling chop. Most manufacturers stop at 5mtr unless you look at trainer kites. FYI .... The XXLW Spitfire is as good as the XL Naish Surf Thrust for the bigger individual interested in carving and surf. can you post a photo of the two different set of wings side by side? I am still pretty happy with the xlw wings, but as I move to bigger swells and waves it might be an option. Cheers....oh and what do you mean by "bigger individual"? Let me get this straight bigtone your saying the xxlw spitfire has the same lift as the xl naish wing? Or did you mean large naish wing. I have had a look at the naish foils in the shop and the large seems like it could be the perfect size for me, I think the xl would be too big. I have seen my friend out on his Chinese bootleg go foil sup wing and a small very small cloud in winds around 30 knots with rough choppy seas and he was having a blast so it's definitely do able with the right setup. but need to be used with the Windfoil style mount plate. and for Kiting Nooooo jumps. The XXLW wing and XL Naish Wing have the same lift. Quite interesting because the XXLW looks smaller. I have the L and XL wings and I prefer the XL Wing. The L wing has some funny super lift characteristics when you first launch, the XL does not. I do not understand it, but a friend of mine recommended teaching my wife to foil on the XL rather than L because of "weird lift characteristics". So I wasn't just imagining things. The XL sticks like glue in big chop conditions. A bit more up and down over the peaks and troughs, but super solid. The big wing also has great glide characteristics on small swell (lake wind swell).